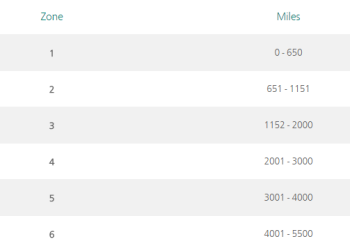 Aer Lingus redemptions now bookable via avios.com – but it’s not that simple …. I ran an extra article on HFP yesterday – which you won’t have seen if you are an email subscriber – to highlight the fact that the Aer Lingus Aer Club programme had launched. This article is an expanded version of that piece. At the same time, Aer Lingus reward availability has been loaded into avios.com. You do NOT need to be an AerClub member to book these. You can log in with your usual avios.com UK account details and book. This is the first time ever that Aer Lingus awards have been bookable online with Avios. Some rewards are down in price. 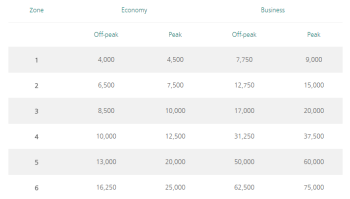 Previously, all Aer Lingus rewards were treated as ‘peak date’ pricing in the same way as any other BA partner airline. 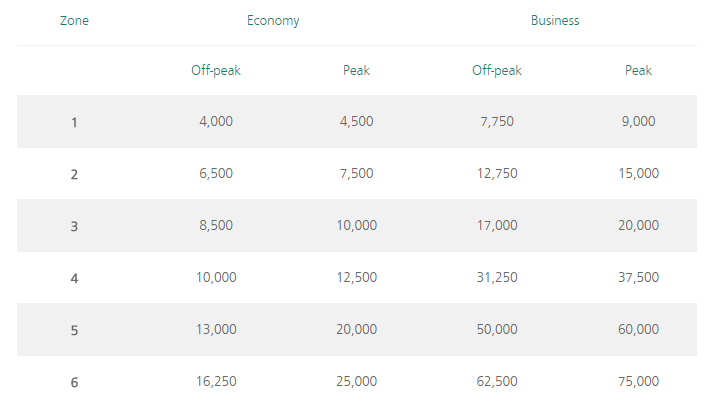 Aer Lingus now has peak and off-peak pricing. The list of peak dates does NOT match the British Airways list of peak dates. You will find dates when a BA Avios redemption to North America is ‘peak’ but an Aer Lingus redemption is ‘off peak’. Dublin / Shannon to Boston SHOULD be in Zone 4. Last week, it cost 75,000 Avios for a return business class flight from Dublin to Boston – which is what you expect to pay for a partner airline flight of 2,986 miles which is how long the Dublin flight is. The cost of Dublin to Boston was just 50,000 Avios return before the April 2015 changes. It now costs 100,000 to 120,000 Avios return. But taxes have gone up …. Taxes have gone up. A return flight in Business Class from Dublin to New York used to have taxes of around £75 return. It will now cost you £200. However, if you travel off peak, the reduction in the Avios required would mean you are no worse off. It is also £300 cheaper than a British Airways Club World redemption from London! One way redemptions TO Dublin offer value …..
One way long haul flights to Dublin look very good value. A one-way business class flight from North America has taxes of around £90 whilst a one-way economy flight has taxes of around £70. And no Reward Flight Saver on short haul …..
You pay full taxes on short haul Aer Lingus redemptions. There is no Reward Flight Saver cap. An economy flight on Aer Lingus between London and Dublin comes with taxes of £116.85 return! This compares to £35 for a British Airways flight on the same route. It is also more than you pay, on most days, for a cash ticket on that route. I doubt those Aer Lingus redemptions are going to be very popular unless there is no BA availability and you need to ability to cancel for a full refund which comes with a redemption. Note that short haul redemptions booked with Avios include 1 x 20kg checked bag. Some oddities have appeared at ba.com ….. Historically long haul business class Avios redemptions made via the British Airways Executive Club call centre attracted taxes of around £75 return. Based on HFP comments yesterday from readers, British Airways is STILL charging around £75 in taxes. This means that it makes no sense to book long-haul Aer Lingus redemptions on avios.com. You might as well look up availability on avios.com but then call BAEC to book and take advantage of the lower taxes. This article doesn’t touch on AerClub itself. I will return to that next week, but for now I wanted to highlight the more important changes – for UK based readers – and the opportunity to finally book Aer Lingus redemptions online. I do wish that people would stop referring to IAG / BA fees as taxes. Tax is something paid to a countries exchequer. The bulk of this money paid to IAG/BA is not. BA charge £500 plus for a redemption premium seat but less than half of that goes to either the U.K. Government or other governmental agencies. They charge even when the operating carrier has no such fee and where such fees are banned. please call these charges what they are IAG/BA fees, not taxes. Lots of things are called what they aren’t! “Taxes” is a lot shorter than government taxes, local fees, airport charges, agricultural inspections, security costs, fuel surcharges, other carrier charges etc. Have you ever looked at the list of taxes, fees and other charges on a ticket to the US: there must be about 10 different things listed! If we just said “IAG.BA fees” then that would be incorrect too! I think of it like MoT is in common usage, even though the Ministry of Transport is long gone! late 14c., “the levying of taxes, a tax, duty, tribute,” from Old French imposicion “tax, duty; a fixing” (early 14c. ), from Latin impositionem (nominative impositio) “a laying on,” from imponere “to place upon,” from assimilated form of in- “into, in” (see in- (2)) + ponere “to put, place” (see position ). Sense of “the act of putting (something) on (something else)” is from 1590s. Meaning “an act or instance of imposing” (on someone) first recorded 1630s (see impose ). @Paul – i agree ! at one stage it seemed like the government was so sick of being blamed for these fees that they were going to legislate to force airlines to stop implying that they were taxes. but sadly the government hasn’t got around to it yet ! it would be helpful if HfP labelled them as fees – and thereby pressurised BA to stop loading them on. Its frustrating that a company like BA feels the need to throw all these ‘fees’ ontop of their reward seats.. yet an Airline like Cathay can charge 18 quid ‘fees and taxes’ and still be profitable AND provide a much better product. Because Cathy aren’t allowed to charge them by law… They definitely did have fuel surcharges in the past (though I don’t think they charged it on redemptions?). Same reason why you can fly back from HKG and pay no extra charges (from memory, business class is about £20). Do they have business and economy availability on every flight? Trying to get a business redemption and none available on any day. Possibly just too late but just wanted to check. Any idea about using the Lloyd’s voucher with them? Sorry, I am totally confused. It seems from reading other articles that Aer Lingus has been taken over by IAG, but it’s not part of oneworld. Is that correct? So it doesn’t count as a oneworld partner for earning BA avios and TP. How about as a codeshare – I’m sure at BRS I once saw an EI flight flash up with a BA number. Regarding AerClub, I registered interest ages ago but haven’t received anything from them, I wasn’t aware it had launched until this article. might be a problem with my isp I guess, I joined avios.com the other day but have had no email from them with member number etc.. Correct. However BA codeshares will earn Avios and tier points. Only a matter of time before BA raise the fees. If you are planning a trip get it booked now. What with everything that has been going on, they are literally ruining EVERY aspect of the programme. I tend to use airberlin as my main FFP these days (being based in Germany) and I’m crediting a lot of these non flying species Avios offers (e.g. Groupon, Avis) to Iberia (100,00 in 8 months). Only thing that keeps me crediting flights (except AB) to BAEC is the Tier Point system. Always thought having as many of those as possible might come in handy in the future. Or is my way of thinking all wrong? Should I just forget about BAEC? It is No 1 that lets you do this, not Aspire. The £116 fees for a DUB-LHR just looks totally wrong. I’m guessing its a hiccup that will be iron-ed out somewhere. There isn’t one reason I can think of why they’d have such crazy fees. I’m guessing short-haul redemption fees haven’t actually been given much thought yet. Long haul clearly has. Someone has taken the time to identify the Boston thing and stop it being a better redemption than others. I take issue with moving boston 14 miles west. According to gcmap, shannon-boston is 2895. So they’ve moved it at least 105 miles west. the fees on EI short haul redemptions (by telephoning BA) have always been crazily high – this is nothing new. so I fear there is nothing to “iron out”. Indeed – I think they base them off the BA flight number prices for those routes, which are themselves stupidly high! Certainly nothing new – I looked at make a short-haul redemption to position for a TP run a few years back and it was way cheaper to buy a cash ticket with EI. Will rfs flights come in the future when they rejoin oneworld? No. You don’t get RFS on Finnair from London to Helsinki, or Iberia London to Madrid. Glad I booked my DUB-BOS for Mrs MIM’s 50th next year a few months back. Haven’t booked the MAN-DUB leg yet (nor indeed DUS-MAN for the way back) but it sounds like I can rule out using Avoid for that.